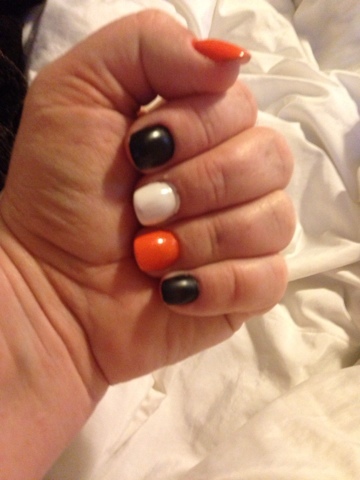 MamaBreak: Mani Monday: Halloween is COMING!!! I love your nails, I tried a cheap set of nails and I sure regret it, I always did like Sally Hansen!! Thanks! I finally had acrylics put on because I have had such a hard time with maintaining my nail length. I didn't want them very long (as you can see), but I love them.